We, not only as Real Madrid fans, but as football fans, have to disappoint you because you WILL in fact be remembered as a good, very, very good goalkeeper. You have won everything that is possible to win for a football player on this planet. You have won the World Cup, and that too by pulling off one of the best saves ever seen against Netherlands in the final of 2010. You have won the Euro Cup twice. You have won the Spanish League 5 times. You have won the Champions League 3 times. You have won the Supercopa, the Club World Cup, Copa del Rey several times. What more? You have been selected as the FIFA goalkeeper of the year 5 (FIVE!) times in a row from 2008 till 2012. No other goalkeeper has ever managed to win it that many times. Iker, you will be disappointed, because we remember that you have pulled off “impossible saves” so many times in your career that we have lost count of it. 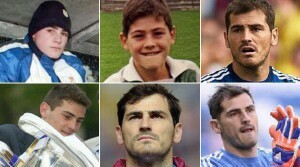 So, Iker, if you didn’t want to be remembered as a good goalkeeper, we have to disappoint you. An era is about to end. After 25 years at your boyhood club you are now going to wear another shirt. Coming to Real Madrid at the age of 9, you have since served this team like a soldier at duty. You’ve been a true fighter on the pitch, a leader for the team, someone who puts his team before his own self. You have been a football player that even the fiercest rivals have not been able to dislike. Just like everything else in life, football also have cycles. Cycles have to end, great careers have to end, because nothing lasts forever. Steven Gerrard has left Liverpool, Xavi Hernandez has left Barcelona, Frank Lampard left Chelsea and Pirlo has left Juventus. 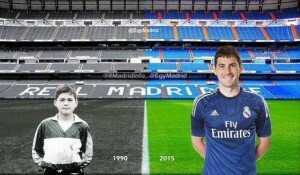 Your time has come as well, Iker. You are stepping down as a legend. Yes, the past couple of years have been turbulent, but you finally lifted La Decima in 2014, and can leave the club with your head held high up in pride. Proud of your achievements, proud of your legacy, proud of your sacrifices, and proud that each and every football fan admires you as a player and as a person. Previous PostTesla Motors: ‘Apple of the car industry’Next PostReality check, for faen!